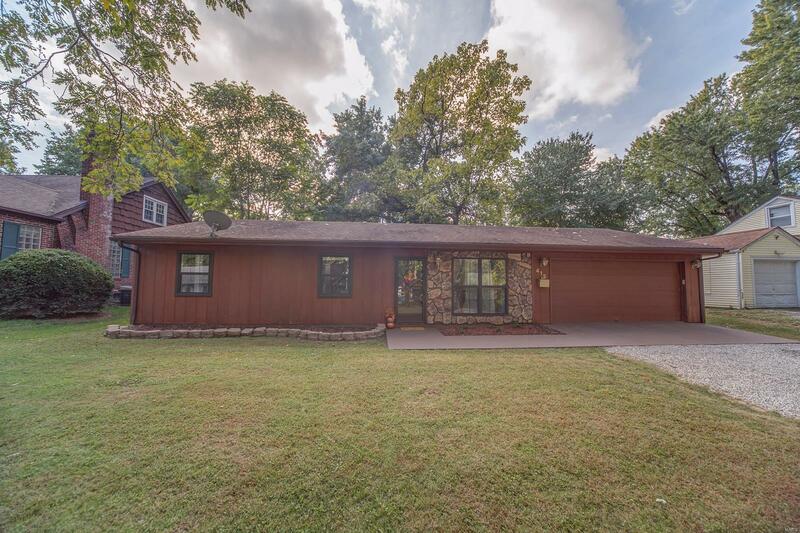 Adorable 3 bedroom ranch! You will be shocked when you enter inside and it feels so much bigger! The living room opens up to the kitchen for a much larger feel! Wrap around counter in the kitchen separates the kitchen from the living room. Loads of countertop space gives you plenty of area for cooking and prep work. All stainless steel appliances stay. Laundry room sits off of the kitchen. Down the hall leads you to three nice sized bedrooms and a full bath. Full bath has built in shelving for extra storage. Sliding glass door leads to oversized fenced back yard with patio and deck area with storage shed. You will love this great backyard space! This house has been well loved and it shows. Call today for a showing. Buyer to verify all information.